How do you target B2B customers on the web? Is your online strategy effective? Are you sure you do your best to capture the right crowd? Let’s find out. Should You Really Follow Your Gut? Surprisingly, most businesses don’t know exactly who they are selling to. They know the company name, their points of contact, maybe a few stakeholders or decision makers they’ve talked to. That’s it. Everything else is guesswork. 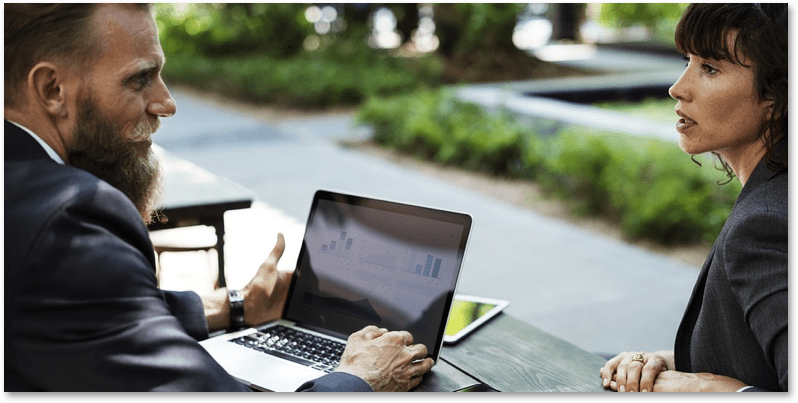 Some of the ecommerce store owners may think that B2B customers are completely different from the B2C customers and get confused when it comes to creating the right strategy to target them. Others believe B2B customers are just like individuals and the approach to them shouldn’t differ that much. In order to sell more, to sell better and to extend your market share you need to fix this. Exchange your gut feeling for the fact-based approach. And we will help you move from A to B. Focus on key differences between B2B and B2C customers. Learn who you sell to best right now. Discover who your competition sells to right now. Decide what B2B customers you want to target. Define their buyer persona. Tailor your marketing efforts to the target B2B customer persona. B2B is vastly different from B2C. From the decision-making process to delivery and support, online B2B customers worry about a thousand things. Merchants believe that buyers know exactly what they want. They don’t need the salesman to tell them stuff. They are armed with the magic of the Internet which helps them do an exhaustive feature, reputation, and price comparison in minutes. Reality is different. B2B customers are confused, time-pressed, and overwhelmed with information. They are full of uncertainty and want to avoid risk at all cost. Too much choice is not always good (Iyengar and Lepper, 1999). And the modern marketplace offers a lot to choose from. Their perceived all-informedness is just a mishmash of random facts and bits of opinions from all over the web. This mishmash doesn’t help when you need to make a decision and write a huge check. Buying an expensive piece of machinery or committing to a 5-year-long enterprise software license is hard. And scary. This is why B2B customers involve a lot of people in the decision making process. They prefer a very formal and rigid buying process in order to convert personal responsibility into group responsibility. Your mission as a seller is to understand customer challenges and help them feel secure and confident about their decision. While the average check in B2B is vastly larger than an average B2C purchase, a bigger price tag often means people are slow to commit to your product. They do a lot of research, often very diligently comparing dozens of offers on the market. According to stats, B2B buyers do 12 Google searches before engaging with a particular company. 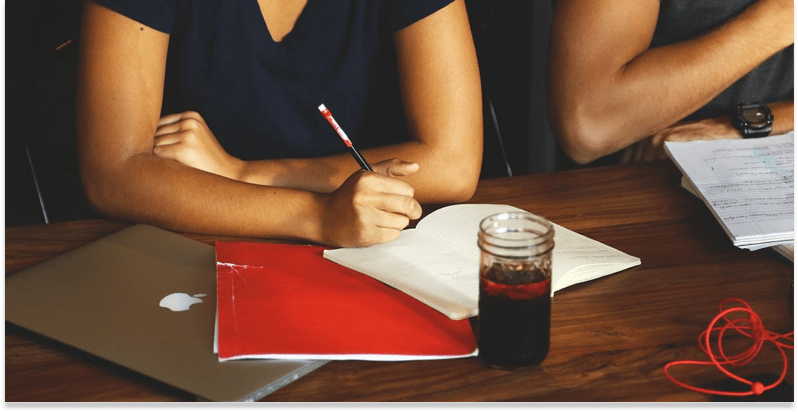 Long sales cycle means your competition will have a lot of opportunities to influence their choice: from great sales copy to forum engagement to face-to-face discussions. Get the best content for your website. Content plays a critical role in eliminating customer’s fears. Pressed for time and often under a lot of stress, a B2B customer is much less tolerant to uncertainty. They need their info right there right now. Websites that fail to answer all their questions with the description and the photos of the product will also fail to close the deal. You have to target very different people with a variety of backgrounds. Business, IT, finance, accounting, engineering, HR. Tailoring your content to such a varied audience is hard. John from Business Development is interested in ROI and new customer growth. Veronica from Engineering wants to know whether the new equipment is reliable and serviceable in their area. Rueben is Head of Marketing and cares a lot about how the new machine will help the company be more competitive on the local market. The list goes on. Talking to a diverse crowd is a challenge. But you need to convince all of them to be successful. This leads us to another issue. Multiple decision makers that can bog down any deal. Large organizations are full of people who either have to decide collectively on an issue (this takes a lot of time!) or are so afraid to make a mistake they involve as many people in the decision-making process as they can to dilute responsibility. Provide your customers with full information about the product that’s easy to understand for a wide audience. Explain the features and turn them into convincing benefits so even your non-technical readers will see how a certain feature provides value to the company and justify the price. Eliminate uncertainty. Back your offer up with a satisfaction guarantee and a proven track record. Give decision makers peace of mind providing them with technical specifications, return on investment data, tech and customer support options they need. Create a risk-free environment. Convince your customers that they are making a right choice. Address all risks one by one. Speak their language. Focus on their pain points and talk about them with authority. Before making any decision you need more information. And the best source of information is your current customer base. You already have earned the loyalty of some B2B customers, work from that. Talk to them, get to know them better. Ask what convinced them to buy from you. What doubts did they have before the purchase? Was your website successful in eliminating that uncertainty? What made them stick with you for a long time? Provide your audience with some incentive to answer your poll. Or get personal and talk to people individually. Whatever you think will work best. Don’t underestimate the power of asking a lot of questions. You will be surprised how many people are actually open to talk to you about their preferences and problems. As a nice side effect, you will also demonstrate that you care about your customers after the purchase which isn’t something a lot of companies do. Once you get to know your existing customer base you won’t struggle that much with coming up with your target B2B persona. Take a look at who you’ve been talking to all that time. What common traits do all these people share? Do they all have a similar job title? A common background? Comparable social status or personality? Technical knowledge? Did they ask similar questions about your products? Was there any similarities about what they liked or felt frustrated about during their buyer journey? We know it’s not easy to talk to people like that. But it’s a vital step to understanding who your customers are and what steps they have taken to buy from you. Without this knowledge it will be all guesswork. Get rid of that guesswork. Your company is just one player of the vast market. Not all players are the same of course. Companies do things differently. Don’t be afraid to adopt what’s working. Look around. Notice what other businesses are doing to attract B2B customers online. See if this works. Make a list of competitors. Take a look what industry leaders do. Their market position at least in some way reflects their effectiveness in targeting the right B2B customers online. They also have more resources to target customers effectively. Reverse engineer their success. Make a list of things that you really like on the websites of your competitors. See if these features can be carried over to your own store. Compare everything – their site content, the way they display their products and what information is really available on the website pages, overall user experience, and customer journey. Estimate what particular changes bring the most value to their store. Take into account how labor-intensive it will be to implement something similar on your own website. Execute. Take their idea and make it your own… Just kidding. 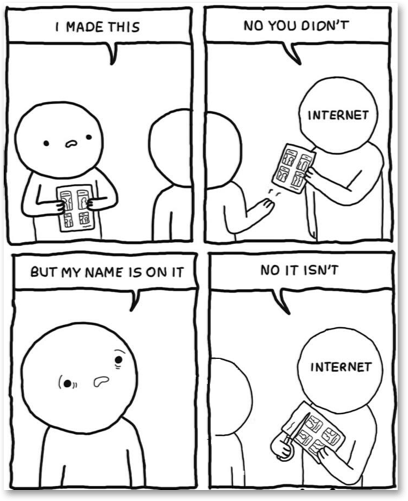 Don’t blindly copy stuff. Get inspired from their website and make yours better. Define your first B2B customer persona. Based on your existing customer base, think of a person and a business that will benefit the most from your product. Who is your first point of contact? What kind of a professional usually discovers your product online? Do they have a tech or a business background? Are they from middle management or work as an individual contributor? Have they been searching for a specific problem and found your website? Why they need it solved right now? Do they already have a negative experience with another solution they tried? How well do they understand the problem? Do you need to educate them further? Let’s try this on Dan. Daniel, 45, is Chief Engineer in a small printing company who needs to find a new printing press. Business is good. New orders for high quality T-shirt prints are coming in every day. The company is looking to expand. In order to do that they need new printing capacity and fresh workforce. Dan’s current printer is old and nearing end-of-life. He’s been working with it for more than 15 years now and is unsure if a new printer will be easy to learn. Not only that. Dan has to install and test it pretty quickly because time is money. The order queue is growing fast. If the company wants to keep all these orders they get, the new press will have to work flawlessly. From day one. But that’s not all. Dan also needs to teach new recruits how to use the machine. Because if anyone has questions, they’ll go to him. He’s Chief Engineer and head of the whole printing team after all. The production cycle is 24/7. But Dan can’t live on the job. His team will need to learn quickly how to use new equipment without his help. As you can see, Dan is overwhelmed with the challenges he’s facing. Your job is to help him get all the answers he needs to make a decision. Alright. Once your customer persona is ready, look at your website content once again. Does it provide Dan with all the information he needs to make his mind and call you? What’s lacking? How can you improve it? Will Dan understand every feature you listed? Is it clear how these features transform into benefits for Daniel’s team? What about his supervisors? Will Dan be able to convince Supply Chain and Business Development that your company is experienced enough to work with? Are there any additional costs for the equipment? What about payment options? Is shipping to Dan’s location possible? Will you help with the initial install and setup? First impressions matter, especially in the business sector. Tailor your website content in such a way that the person who usually serves as the first point of contact will pre-select you as a potential supplier. At this point in the sales process, your main objective is to be memorable and make a great first impression. Are there any key decision makers involved in the purchase process? What are their job titles? What questions do they ask most often? Based on that information, what issues matter to them the most? You’ll need to work on their buyer personas as well. Once you have the target B2B customer in mind, it’s time to tailor your marketing to that exact person. Even if your actual audience is wider, it will not hurt your sales with them. You are just narrowing down to your “ideal” customer improving your sales in that particular niche. 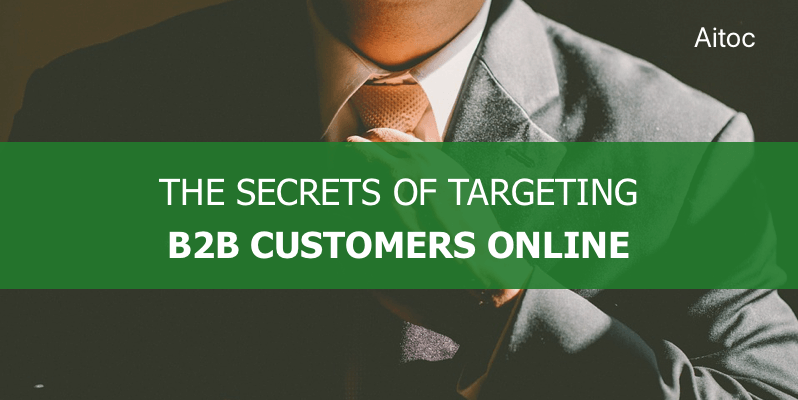 These are the main tips for targeting your B2B customers online. Once you get the basics right, you can dive deeper into individual issues and perfect your online marketing strategy even further. Hope this helps! Magento is a powerful platform for showcasing your product in the most effective way. And if you are looking for more ways to efficiently target B2B customers, we recommend adding customer reviews to your product pages. It’s user-generated content that’s unique, authentic, and independent from company influence. This way your new visitors will see that the company doesn’t shy from honest reviews and celebrates consumer opinion. Check out our Review Booster for Magento 2 if you’d like to build in customer reviews into your store.